Evo & Grace: The WanderLusts: Amazing Aloha is BACK!!!!! For a VERY limited time ONLY. When was the last time you ate the Amazing Aloha Burger? The last time it was served in Jollibee Stores was in 2009 but I can still vividly remember how juicy and tasty the entire burger was. But guess what? The Jollibee Amazing Aloha Burger is back, JUICIER and TASTIER! 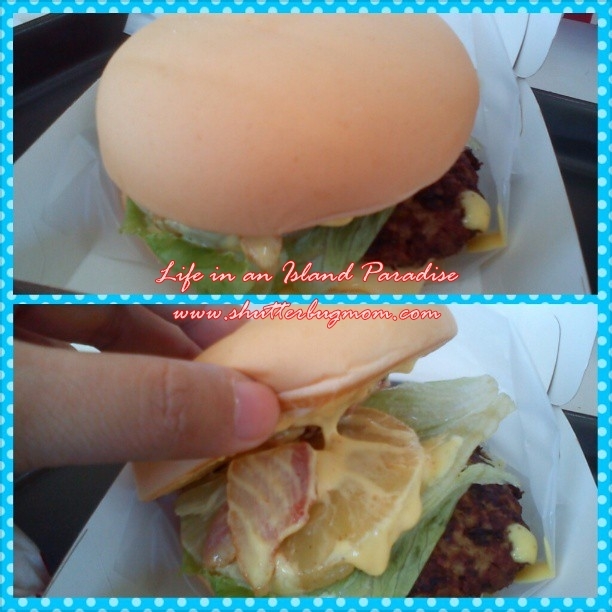 Starting today, May 15, 2013, the Amazing Aloha Burger will be served in all Jollibee stores. Now isn’t that AMAZING? A bite-after-bite delight of two juicy burger patties, crispy bacon bits, cheese and lettuce drizzled with the right amount of honey mustard dressing, topped with a whole fresh slice of pineapple and sandwiched in between two soft buns. Wait there’s more! 100 Amazing Aloha Burgers will be given for FREE TODAY in selected stores nationwide! Starting 2:30PM, 100 vouchers for the Amazing Aloha Burger will be given in each participating store. Be there early, okay? Now which stores? Lucky you if you live near one like me! BWAHAHAHA! Goodluck, see you at the store later!